Srivan Satagopa Paramkusa Ramanuja Mahadesikan was the 24th Jeer of Ahobila Mutt . 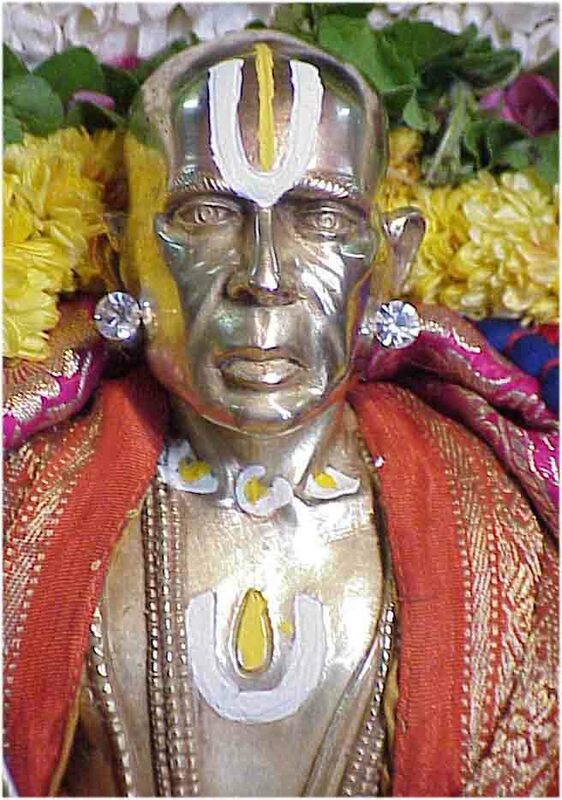 Sri Satagopa Ramanuja Yathindra Mahadesikan (Sri Thillasthanam Swamy ) was born in the Poorva Ashrama lineage parampara of this 24th Jeer of Ahobila Mutt . He was born to Dikshitar Seshadri Acharya in the Vrischika month under the star Mrigasira on 28th November , 1871 . As he spent bulk of his early life in Thillasthanam near Thanjavur (Tanjore) he was popularly referred to as Thillasthanam Swamy. Sri. 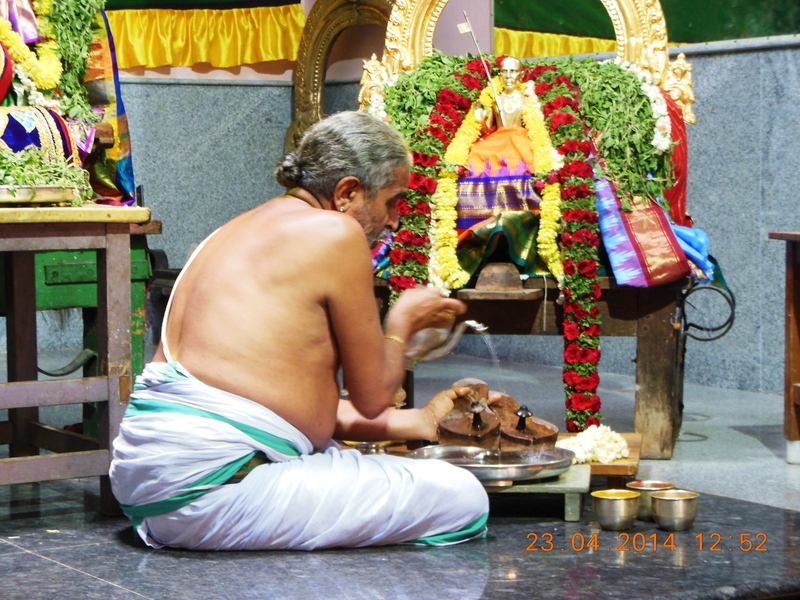 Thillasthanam Swamy made ceaseless efforts to promote Sanathana Dharma in general and Srivaishnavism in particular . He was deeply religious right from his boyhood and regularly performed Agnihotra , Vedadyanam , etc and pursued his vedic studies. He had his Panchsamskara from the 35th Jeer of Ahobila Mutt and also commenced his studentship under him.Thus his association with Ahobila Mutt commenced from his early years .He continued his studies under subsequent Jeers of Ahobila Mutt .In this way , he acquired a wide range of knowledge and was fully conversant with the theory and practice of Srivaishnava tradition .Later he joined the panel of Aradhakas at the mutt , to worship Lord Malola Lakshmi Narasimha.Later , he became the personal staff of the 38th Jeer , Sri Srinivasa Satagopa Mahadesikan and continued his studies too. He also received Preshya Mantra ( for Sanyasins) from the Jeer. In this way Neelameghacarya ( Later Thillasthanam Swamy ) continued his service in Ahobila Mutt. He acquired a wide range of knowledge progressively. One day a Sriviashnava appeared to him in the dream and said " Put to use the wide knowledge acquired for the good of people and promote Srivaishnavism " this made him think and he decided to take up Sanyasahrama . He entered Sanyasahrama on 30th September 1914 with the blessings of the then Jeer of Ahobila Mutt . After becoming a Sanyasin , he assumed the name " Sri Satagopa Ramanuja Mahadesikan . But he was popularly referred to as Sri Thillasthanam Swamy. After becoming a Sanyasin , Sri Thillasthanam Swamy travelled all over the country and performed Panchasamsakara , delivered lectures and discourses on Srivaishnava philosophy and Srivaishnavite literature. In this way he promoted Srivaishnava culture and traditions of Ahobila Mutt. Sri Thillasthanam Swamy remained an individual Sanyasin ( though he was promoting Ahobila Mutt ) and this enabled him to visit every nook and corner in South India which is really praiseworthy since in those days transport was rather difficult. His ceaseless travels created great interest in people to pursue Srivaishnavite traditions .A large number of people all over South India became his disciples.People of the Mysore State ( Now Karnataka ) had great affection and regard for him. Even though Sri Thillasthanam Swamy was carrying out the routines of a Srivaishnava Sanyasin , what attracted people to him was his profound knowledge and ability to retrieve them spontaneously to meet the challenges or doubts of individuals. On one occasion , when he was in Mysore ,there was difference of opinion amongst the scholars present regarding regarding the 'Prayaschitta' rites prescribed in vedic tenets . ( A Prayaschitta rite is a corrective rite to undo any shortcomings in the original rite.) Sri Thillasthanam Swamy explained lucidly the efficacy of Prayaschitta rites quoting various sources including commentaries of sages and learned scholars. Indeed all were awe struck at his profound knowledge and efficient presentation. In this way , a large number of people were attracted towards him . Gradually , he became a symbol of authority and all would consult him on every matter like construction of temple , worship procedures at temples , various rituals etc. Similarly , his lectures were also complete .To make students understand principles clearly , he would use parables or other techniques. He worked devotedly to spread Sanathana Dharma and also ensure his students realise God's grace. He would stay for long periods at Bangalore , and would conduct his programme of lectures. 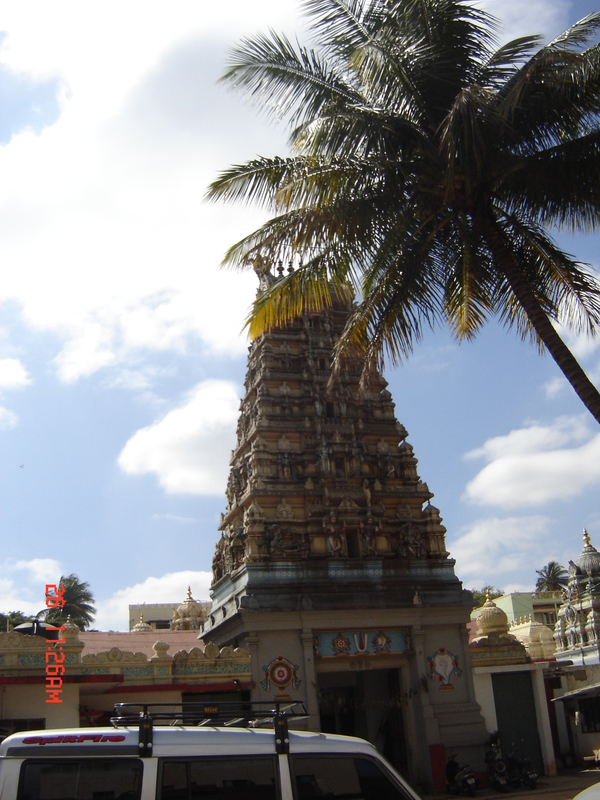 He would stay at Prasannakrishnaswamy temple , Thulasithottam , Majestic , Bangalore. He took great interest in the working of the Prasannakrishnaswamy temple. He organised the worship procedure at the temple , according to Agama and Vedic precepts. He also arranged the installation of Adivan Satagopan Mahadesikan idol at the temple . Sri Thillasthanam Swamy's devoted work and scholarship and easy accessibility enlarged his following of admirers and devotees. He continued his programme of promoting Sanathanadharma , throughout his life. During the last stages of his life , he lived at Srirangam ( Near Tiruchirapalli) in Tamil Nadu . Sri Thillasthanam Swamy attained Brindavanam on May 4th , 1956. ( Brindavanam Photos ) . Thus Sri Thillasthanam Swamy served the cause of Srivaishnava traditions for a full forty two years. A large number of devotees and admirers of HH Sri Swamy assembled at the Sri. Prasanna Krishna Swamy Temple , Bangalore to consider a suitable memorial for him under the Chairmanship of Late sri. B.V. Rama Iyengar . This assembly decided to set up sri. Thillasthanam Swamy kainkarya Sabha with the objective of celebrating HH Swamy's Thirunakshatram and Aradhanam every year . This assembly also approved a simple constitution for the sabha . Further the assembly constituted the sabha's management committee with Late Sri. Dr. K.Srinivasachar as the president and Late Sri Mannargudi V Narayana Iyengar as the Secretary and also members . Sri Thillasthanam Swamy Kainkarya Sabha was formed in the year 1957 to commemorate the memory of Sri. Thillasthanam Swamy . The Sabha has been celebrating his Thirunakshatram and Aradanam since then without fail . Year 2006 marks the completion of 50 years since the sabha was formed . A good number of scholars and public assemble at Sri Prasanna Krishnaswamy temple , Tulasivanam , Majestic , Bangalore and conduct Sevai - both Divya Prabhandam and Veda and large number of people congregate on these occasions. The objective of this web site is to share the information in this area with others on Global basis via the Internet . In line with this objective , all the books are very nominally priced and can be sent by courier upon request to addresses in India . Please contact us for your requirements with your full address and phone number. For requests outside India the books are being sent as e-books upon request . The resources at the command of the sabha are meagre. The sabha has been managing its activities by raising donations through philanthropists abroad and in India and from the sale of its books . In order for the sabha to keep up it's activities and also bring out similar publications in the future also it is the humble request of the sabha to all patrons and well wishers for their contribution / donation to the sabha which will be gratefully acknowledged .